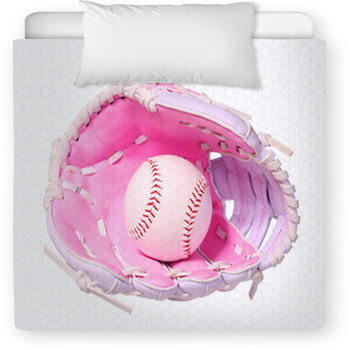 Put gloves of every shade at the center of a retro-fashioned patchwork of colors and let softball themed baby bedding catch the eye of your little fast-pitcher. 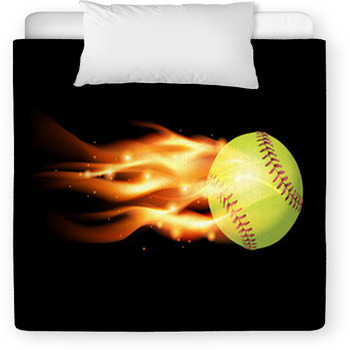 Give colorful caps arms and legs and the enormous face-and-body-erasing ZZTop beards of seamed softballs for a fleece baby blanket sure to get a smile. 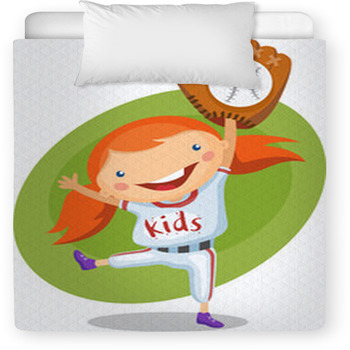 Throw bright colors and a curve ball onto your toddlers bed with wide-eyed anime innocence. 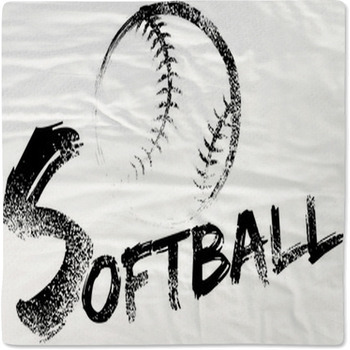 Let a clean softball and a Louisville Slugger wait at a freshly-brushed home plate on a summers day. 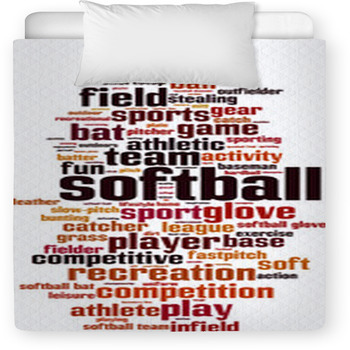 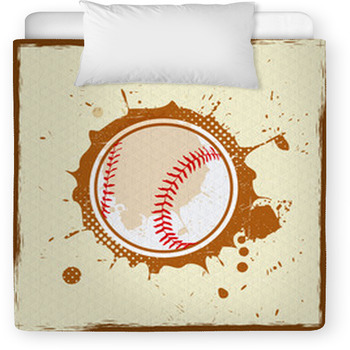 Wrap your little slugger up in the healthy fun of softball with a custom baby comforter. 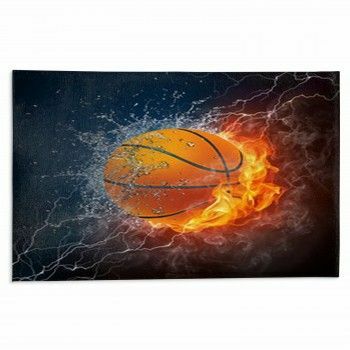 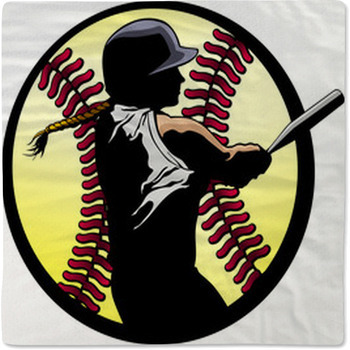 Wait for the swat of the ball in the pocket of a glove stretched high into blue sky. 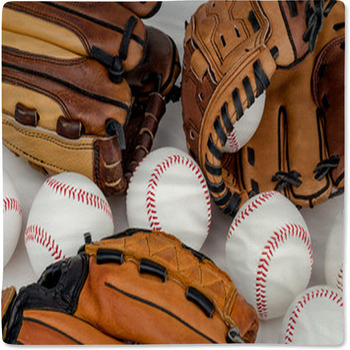 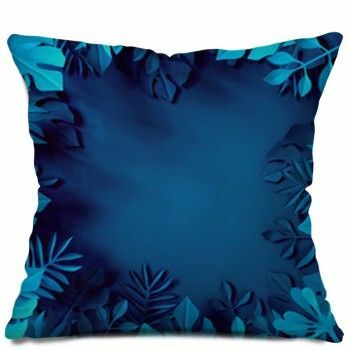 Put the textures of glove tips and leather softballs and crisp blades of dark green grass on your toddlers bedding and leave the feel of summer in the room. 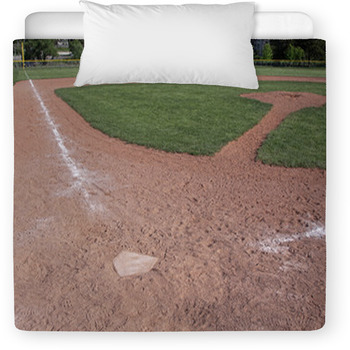 Leave the ball in long grass on a toddler blanket, or put a cute and very patient pooch in stripes and take him out to the ballpark when he's not asleep on the bed. 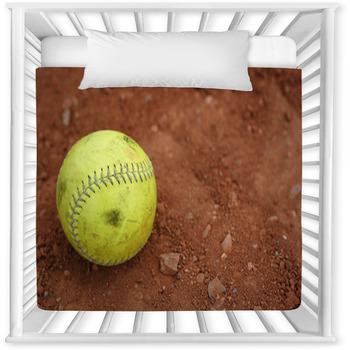 Bring the love of softball to a baby's crib with red stitching at eye level, nestled in a green field under soft blue skies on a custom comforter. 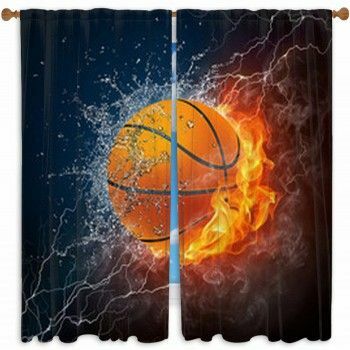 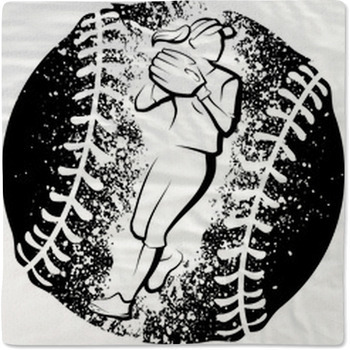 Give your youngster a good look at the basic gear and athletic form of softball on a fleece blanket that can go with you to games. 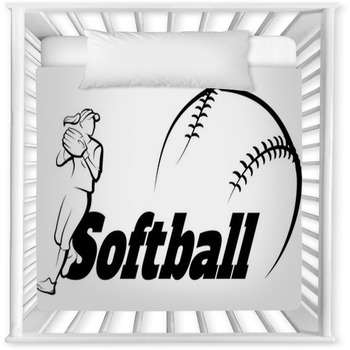 Snag a fly out of the air and get it home on some custom softball baby bedding for your little ones room.